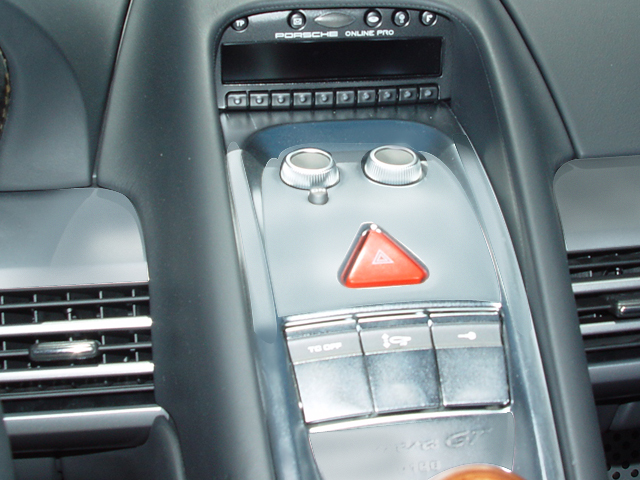 It only needed to satisfy the client, however. 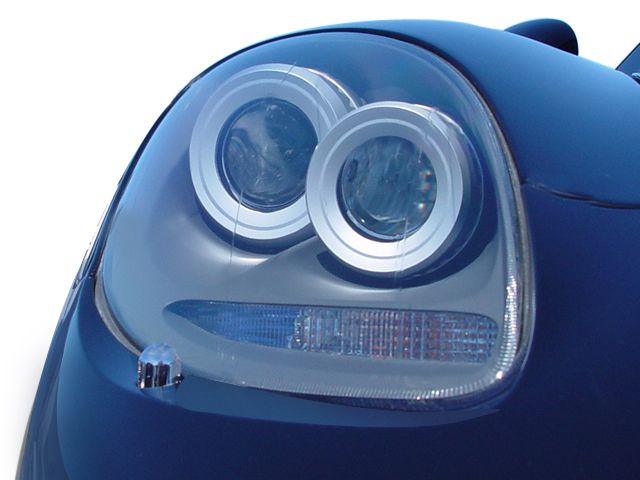 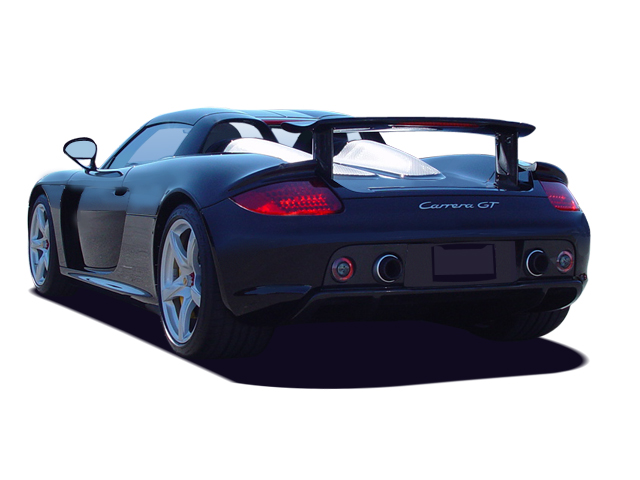 Porsche made 1,270 copies of the Carrera GT between 2003 and 2006, and one of them has been given a unique restoration by the automaker’s heritage division. 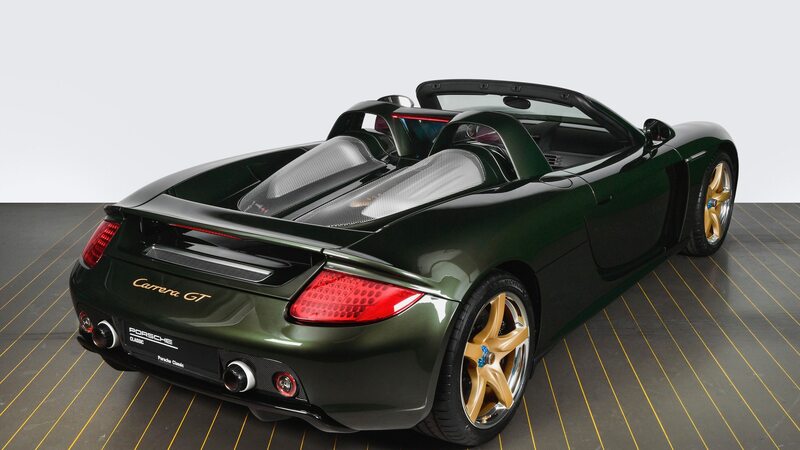 At the request of a collector in the U.S., Porsche Classic completely reworked a Carrera GT into the Oak Green Metallic beauty you see here. 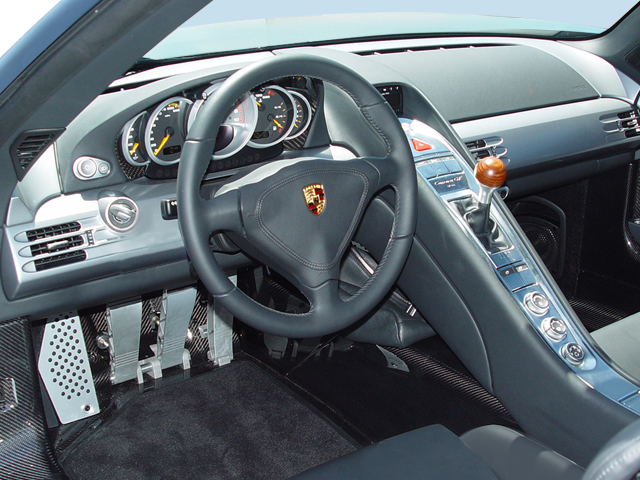 The renovation was extensive and saw Porsche disassemble the original model into its constituent parts; they were all then inspected and refurbished or replaced as needed. 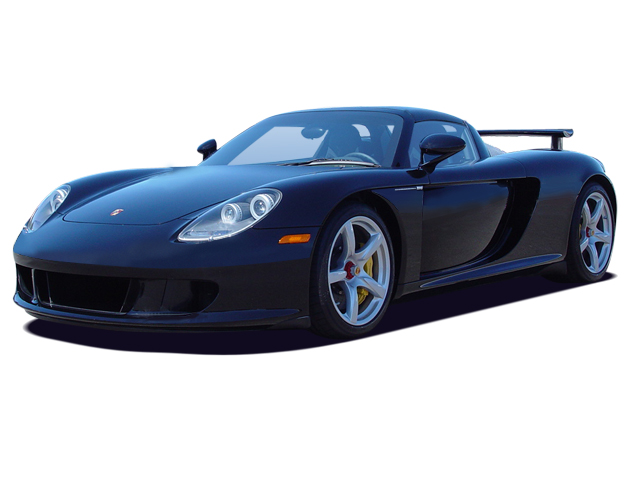 Porsche overhauled the engine, transmission, chassis, and even the carbon-fiber monocoque. 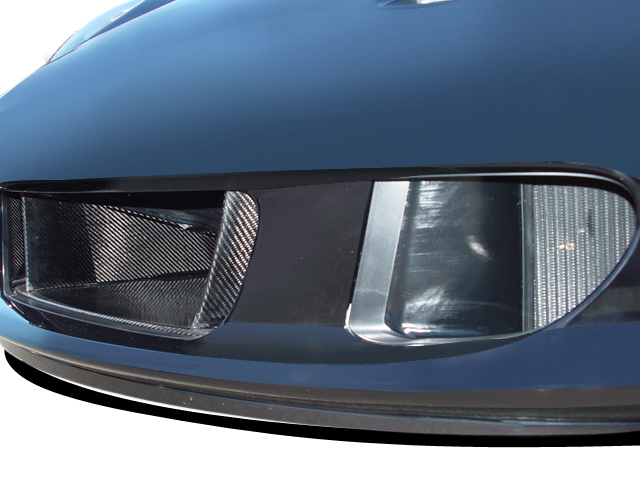 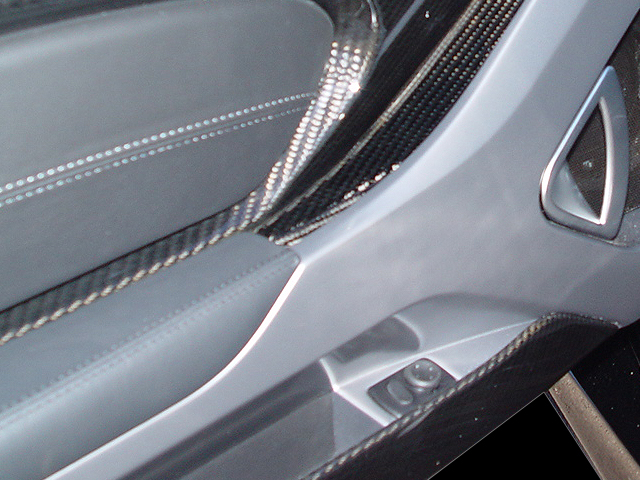 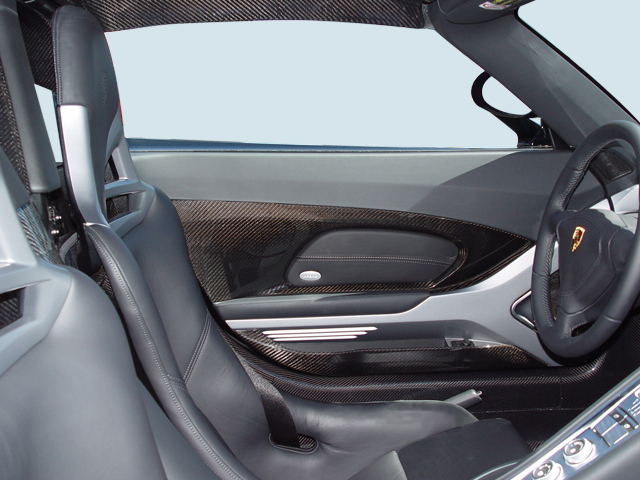 In fact, workers spent 350 hours sanding and recoating all the carbon-fiber components since the coating on these parts can yellow and fade over time. 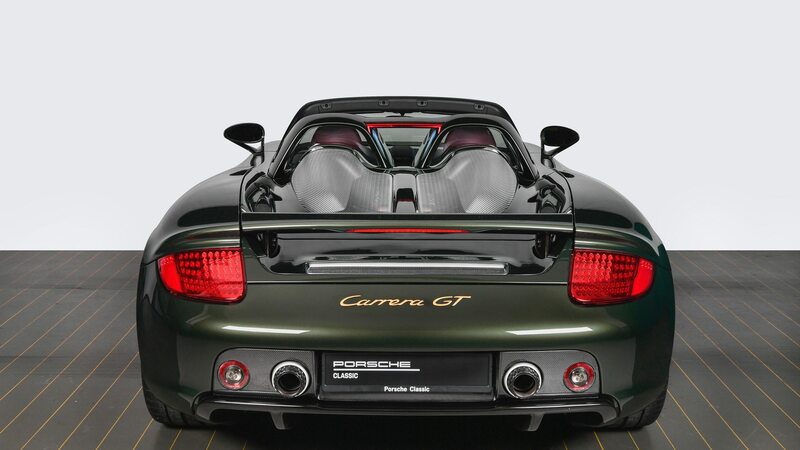 Although it appeared on Porsche cars starting in the 1970s, this specific dark green color was never an option on the Carrera GT. 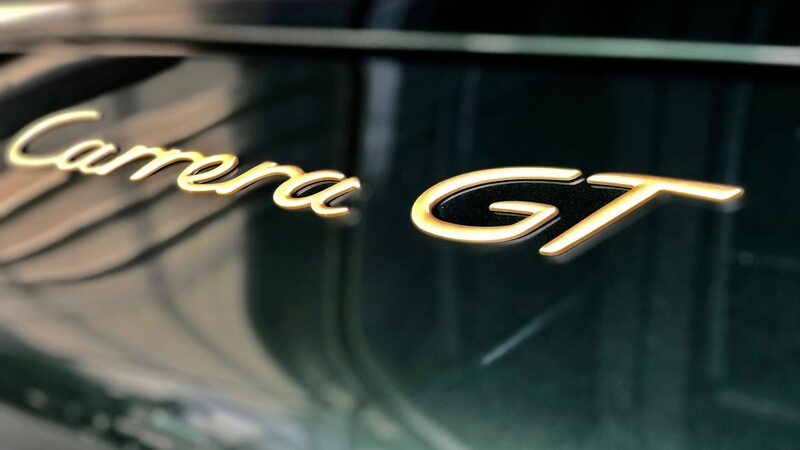 (Porsche has told us in the past that its Classic division will update a customer’s car with items and options that could have conceivably been offered in period.) 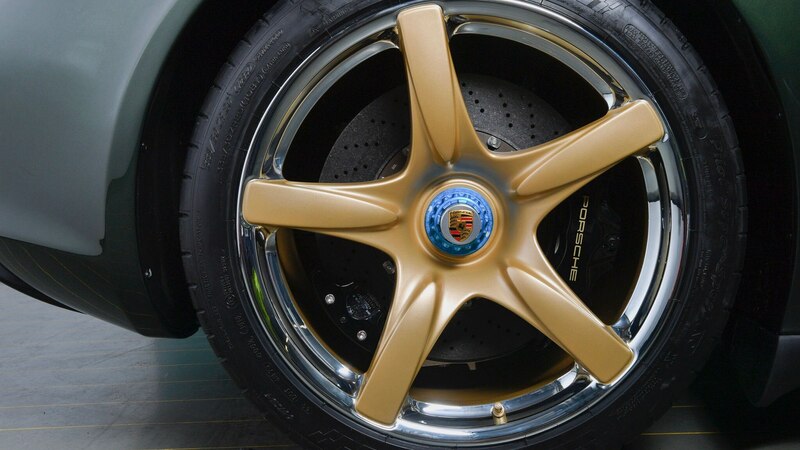 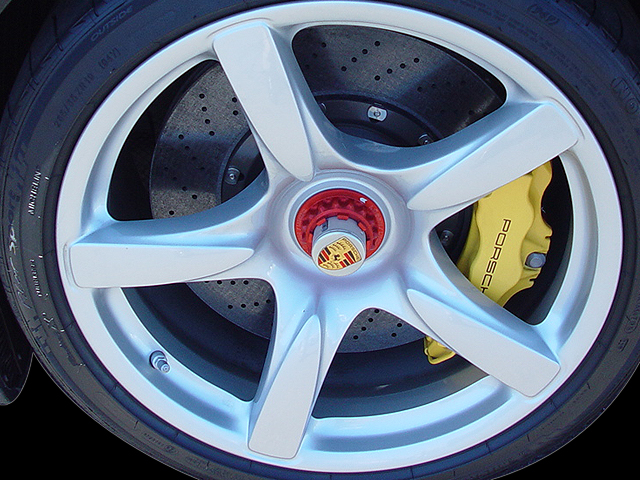 The hue was also used on the seats’ belt passthroughs and is complemented by gold exterior badging and wheel spokes, and The lips of the wheels have been polished to a near-mirror finish and coated to prevent tarnishing. 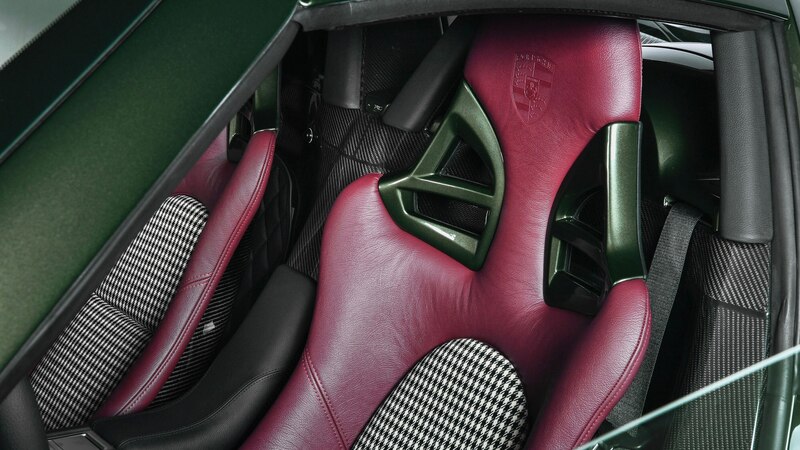 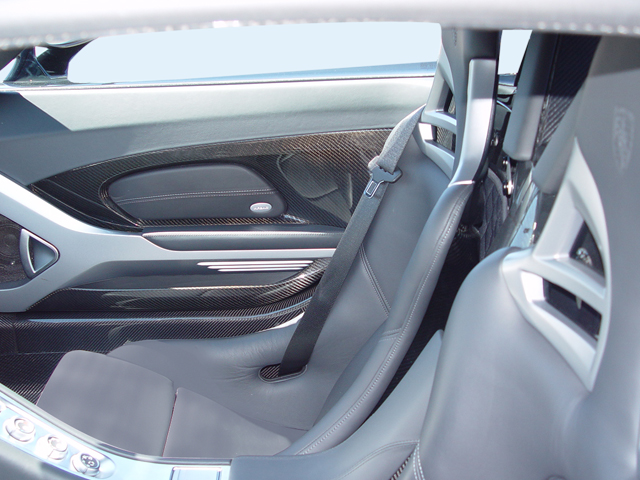 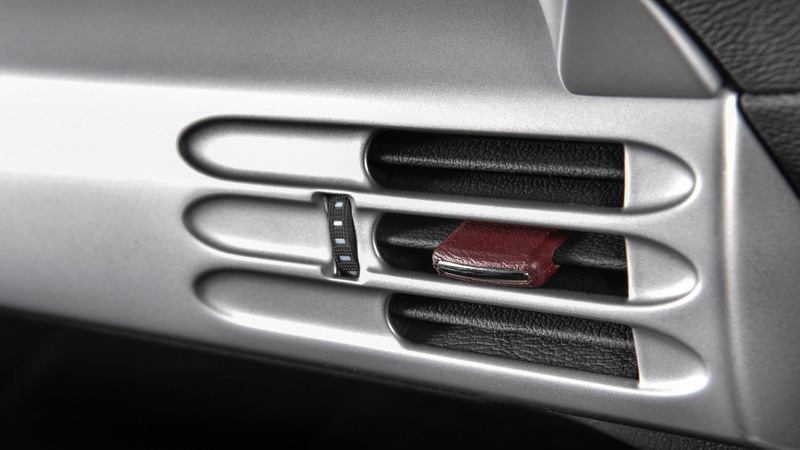 Inside, the Porsche Carrera GT features dark-red leather upholstery and checkered inserts; we dig the pattern, but the color of the leather is a rather interesting choice that has also been applied to the air vents. 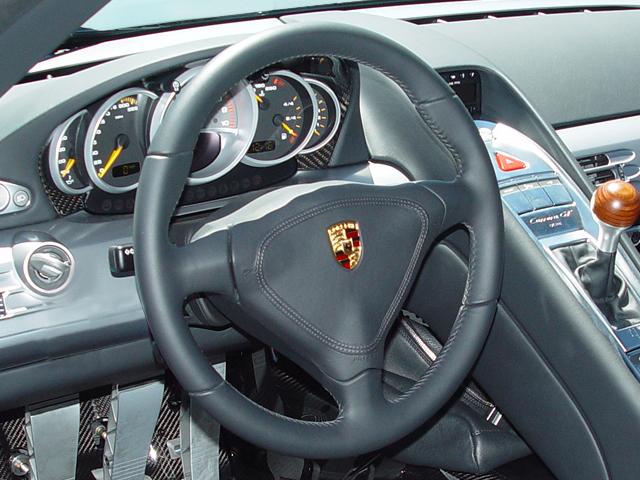 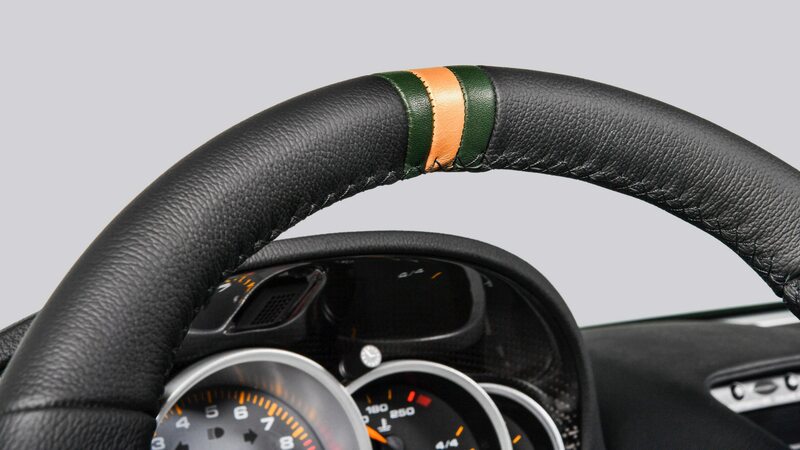 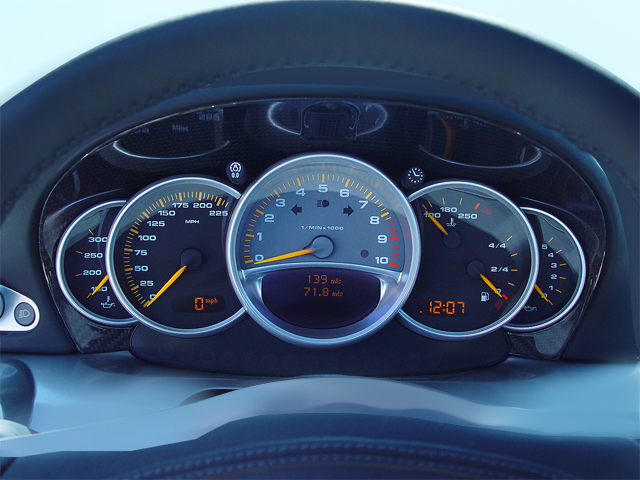 The steering wheel features a gold and green stripe at the 12 o’clock mark. 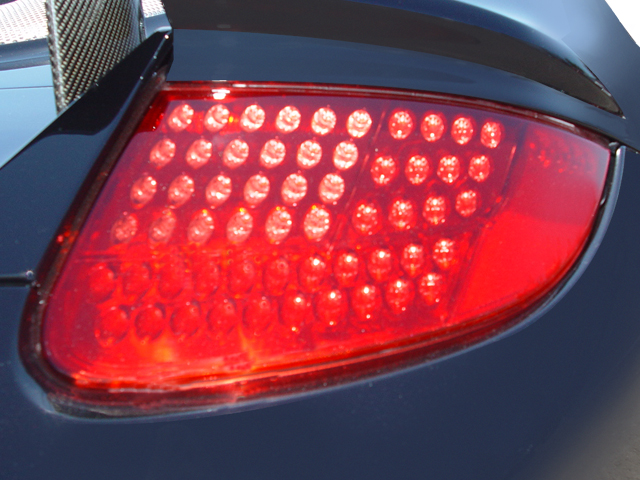 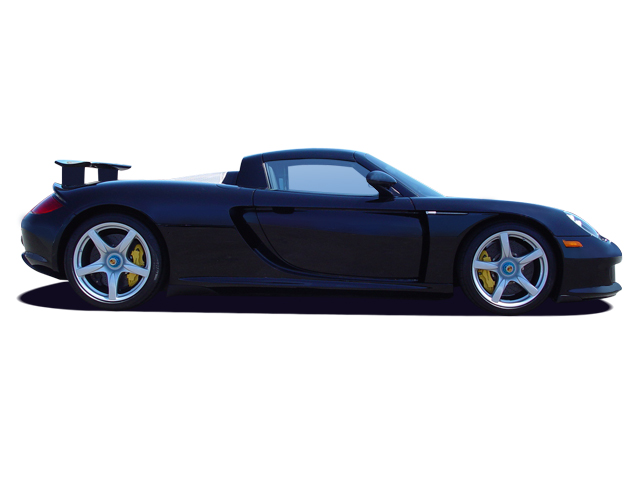 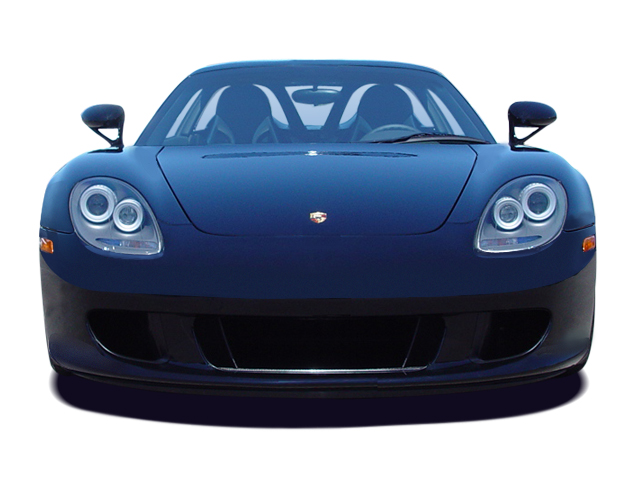 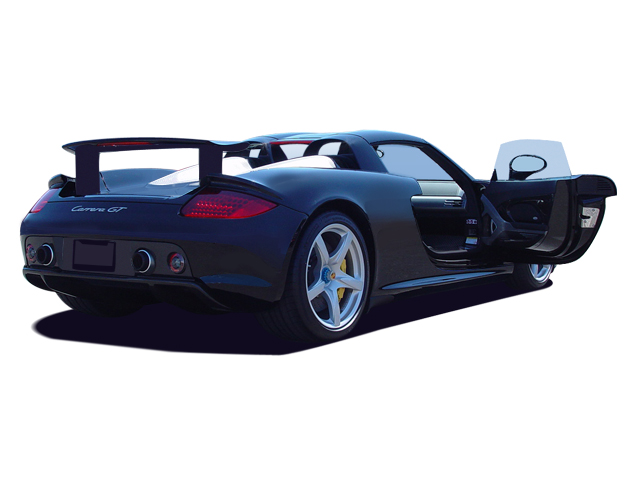 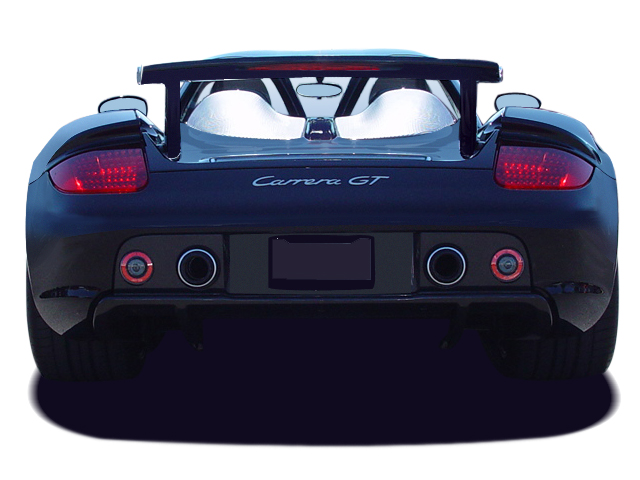 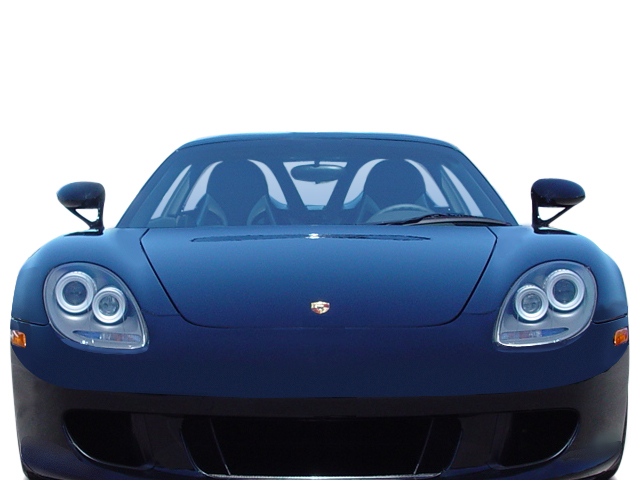 The Porsche Carrera GT packed a 5.7-liter V-10 that was rated for 612 horsepower when new, and was priced at $560,000. 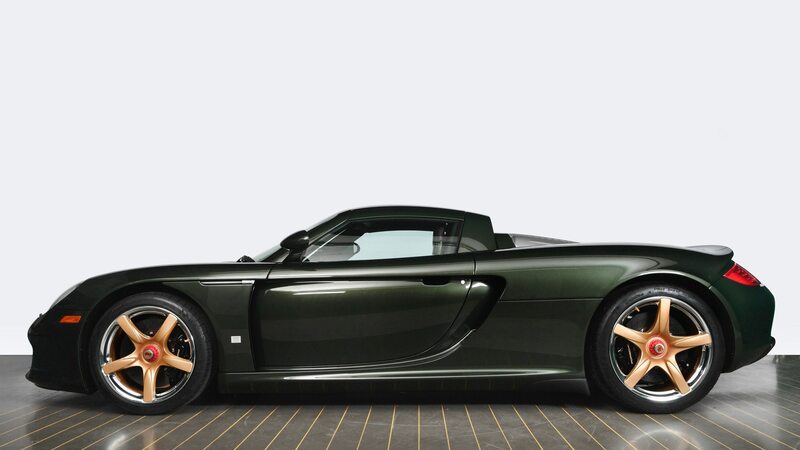 Porsche has not said how much this restoration cost.